Despite my best intentions, I had first come to China some eleven years ago with a pile of preconceptions and ways of understanding socialism. One by one they have been challenged, undermined and then crumbled. Since then, I have been rebuilding my understanding virtually from scratch. Some of these preconceptions were superficial, although I was not aware I held them until after arrival. For example, I had been warned that a paranoid communist party would send spies to watch my every move. Even though I found this somewhat ludicrous, I caught myself, despite my best intentions, wondering if I was indeed being tailed. Another was the oft-repeated comment that no-one in China ‘believes’ in Marxism anymore, indeed that Chinese people barely talk about it. This particular fib took about 24 hours to undo, since I found not only that people freely talk about Marxism and socialism as everyday matters, but that everyone has studied these subjects at school. Other preconceptions were more deeply ingrained: the idea that socialism can be reduced to economic matters; that China had embraced capitalism somewhere between 1979 and 1989; that Mao Zedong was the good boy and Deng Xiaoping the bad boy; that ‘socialism with Chinese characteristics’ had little to do with socialism; indeed, that a ‘socialist market economy’ is a meaningless term; as for any form of democracy or ‘human rights’, forget it, since the communist party is not interested. I should add that I had a number of ways of understanding socialism that had developed during a long immersion in European Marxism, with its specific assumptions concerning philosophy and ways of looking at the world. To have these assumptions dismantled has been a disconcerting process, to say the least. But it has also been exhilarating and full of new insights. By this time, more than a decade later, I hold none of the positions I have mentioned. However, the process has often involved constructing a new position that turned out to be a half-way house, a transitional point to something else. In short, I continue to dismantle nearly all of the categories that I had assumed as givens and have been working hard to construct new ones based on extensive exposure to Chinese Marxism. Perhaps ‘human rights’ was the easiest one to dismantle. I had always been suspicious of the very idea of human rights, given that it was first proposed by the Dutch philosopher and jurist, Hugo Grotius, in the sixteenth century. Grotius made a crucial shift, from a singular ‘Right’ characteristic of the Middle Ages (and inescapably connected with God) to plural ‘rights’. Already he saw these rights – such as life, freedom and so on – as commodities that could be acquired or sold. So I did not pay much attention to the routine use of ‘human rights’ in international efforts to denigrate China and its supposed ‘abuses’. However, while filming for an online course (MOOC) on Chinese Marxism, I travelled to Ruijin, where the Jiangxi-Fujian Soviet was established in the early 1930s. Here developed what may be called the ‘Ruijin ethos’: focus first on the people’s need for food, shelter, clothing and security, and then they will become communists. This opened the door to understanding a Chinese Marxist approach to human rights. Yes, such rights are universal, but they are rooted in specific situations and histories. Thus, the European tradition focuses on individual political and civil rights, but it neglects the crucial right to economic wellbeing (with significant consequences). It is precisely this right that emerged with the Ruijin ethos, with a distinctly collective focus. And it continues to be expressed in any number of government policies, ranging from the minority nationalities policy to the Belt and Road Initiative. So there is a Chinese Marxist tradition of human rights, arising in a very different situation, with different emphases. This is not to say that political and civil rights are neglected, but they must be understood in this broader framework. As for ‘democracy’, on this matter too I had earlier suspicions. I mean here suspicions about bourgeois democracy and the claim that this particular form of democracy is ‘democracy’ as such, without any qualifiers. I had experienced and studied enough to know the vacuousness of such claims, that bourgeois democracy based on parliamentary parties was only one historical manifestation of democracy, with its significant limitations. But I did have some idea of what an alternative might be, with direct participation by all, election and revocation, a search for a collective will – a little like Marx on the Paris commune. This is socialist democracy, I thought to myself. That my perception had significant doses of anti-statism goes without saying, for is not the state an alienated entity out of touch with the people? That it was also deeply informed by a (neo-)liberal framework was not so clear to me at the time, a situation that I now realise feeds into the popularity of anarchism in those parts of the world where liberalism is the dominant framework. With these preconceptions in mind, China was not going to manifest any form of socialist democracy. The breakdown of this preconception began with the discovery that elections happen all the time in China. In local elections, whether in the countryside or city regions, one can elect the local government representatives. They can be communist party candidates or non-party candidates. What about the process of electing people for the two houses of parliament, the National People’s Congress (NPC) and the Chinese People’s Political Consultative Conference (CPPCC)? The process begins in villages and in the local people’s assemblies, which may elect as many people as they wish. However, the number elected is usually no more than fifty percent over the number of places available. From there, elections continue through a number of layers until the provincial people’s assembly, from which the final number of delegates are elected. Once elected, a delegate serves for five years. In other words, the process is one of direct and indirect elections. A similar process applies for electing delegates to the Communist Party’s congress. Clearly, this is a democratic exercise. But the question remains: what about the Communist Party itself? Can it be voted in or out of power? For many, this question is the test of ‘real democracy’. The problem is that the question itself betrays the hegemony of bourgeois democratic assumptions, in which multiple parties which look rather like one another vie for power, without questioning the overall framework. Obviously, this does not apply in China, which is not a bourgeois democracy. However, the role of the Communist Party in democracy took me a while longer to determine. In short, a Communist Party must be in power for socialist democracy to function. This may initially seem like a paradox, but it is not. Let me put it this way, using the category of ‘dictatorship of the proletariat’. When first used by Marx and Engels and then developed by Lenin and Stalin, the proletarian democracy was a centralised and repressive force, in which the majority – workers and peasants – made use of the machinery of state to absorb and crush their opponents, who had once constituted the ‘dictatorship of the bourgeoisie’. The key here is the majority, which is able to express its will. Yet, this is only the beginning. In a Chinese situation, Mao Zedong transformed this category into ‘democratic dictatorship’, which he saw as ‘democracy for the people and dictatorship over the reactionaries’ (1949). Note the shift: the proletariat have become ‘the people [renmin]’ and they are the ones who rule. In fact, the Chinese minzhu reminds us of the core meaning of ‘democracy’, the people are in charge, are masters. All of this would be fully expressed by Deng Xiaoping in his four cardinal principles, of which the second is ‘upholding the people’s democratic dictatorship [renminminzhuzhuanzheng]’. But who are the people here? They are the workers, farmers and what may be called a socialist middle class, although ‘middle class’ is really not the best term here, since it evokes the specifics of the European history of the bourgeoisie. Instead, these are the people who have been lifted out of poverty and find the socialism has in fact improved their lives. The import of Deng Xiaoping’s formula is that the ‘people’ includes everyone. And who leads and represents them, through complex patterns of elections, public opinion, feedback from other political parties and policy? The next item in Deng’s principles provides the answer: leadership of the Communist Party. Now I am digging into material that required and continues to require much more rethinking. So it is a good time to pause and identify a key experience. It concerns what may at first seem like a rather abstract idea: contradiction. But this idea has profound and very concrete implications. The first moment of this experience was a discussion with a Chinese colleague over ‘utopia’. In a European context, utopia is of course both a non-place (utopia) and a good place (eutopia), but it entails some idea of perfection. Here tensions and conflicts are overcome, harmony and peace are achieved. Isn’t this the same as the Chinese datong, the ‘Great Harmony’? I asked. Well no, my colleague pointed out. This ancient Confucian idea, which has subsequently been reshaped in the tradition as a future state and then appropriated and reinterpreted by the communists (Mao was fond of it), actually does not mean ‘perfection’ as I had understood it. Instead, it means that opposites and indeed contradictions are still present, but they are not in conflict with one another. Think of yin-yang, she said: not only are the opposites entwined with one another, but if you look closely, you will see one side in the middle of the other. The second moment was an extraordinary seminar, in which we read Mao’s ‘On Contradiction’ very carefully over six weeks. I had been struggling for some time concerning the presence of contradictions under socialism. According to a certain ‘Western’ approach, contradictions are supposed to disappear: swept away would be classes, economic exploitation, ideological conflict, if not the state itself. Through my work on the Soviet Union, especially in light of its achievement of socialism in the 1930s (my awareness of this reality also took time), I had begun to realise that contradictions do happen under socialism. So I was in the process of painstakingly tracking how Marxist thought came to terms with this reality. Some of the other participants in the seminar were somewhat impatient with me. Of course, contradictions appear with socialism! Mao’s essay makes this very, very clear. But what sort of contradictions? Are not contradictions meant to indicate struggle and conflict? Many parts of the essay address the nature of contradictions and their relations to one another. But one of the most significant is the last part, concerning ‘non-antagonistic contradictions’. Here Mao picks up an idea that had begun to be explored in the Soviet Union, where classes were present under socialism, as well as tensions between the forces and relations of production. But Mao took it much further in light of Chinese philosophy. At one point, he quotes a four-character Chinese saying: xiangfan xiangcheng, ‘things that oppose each other also complement one another’. Thus, contradictions can always become antagonistic, leading to conflict, as one finds with events leading to a communist revolution. But they can also be non-antagonistic if they are handled properly. This is precisely Mao’s emphasis in an essay from 1957, in the early days of beginning to construct socialism. It is called ‘On Correctly Handling Contradictions Among the People’, in which he advises the party to focus on ensuring that the contradictions that exist should not become antagonistic. The third moment made me realise how important this ‘contradiction analysis’ is in China today. I happened to be in Beijing during the nineteenth congress of the CPC in October 2017. The anticipation in China was palpable and more global attention was focused on this congress than any of the earlier ones. In a major speech of more than three hours, in which Xi Jinping outlined the shape of a whole new phase of Marxism in China, he identified a new primary contradiction: between unbalanced and inadequate development and the people’s ever-growing needs for a better life. Not only did this approach straight out of Mao’s approach, but it also invoked a traditional four-character saying, meihua shenghuo, a beautiful and good life. It was now being claimed from a long tradition and being reinterpreted in a Marxist framework. By now my sense of what contradiction means in a Chinese context had a little depth, especially in light of the aim to become a great modern socialist country by the middle of the twenty-first century. Over the years that I have been discussing, thinking about and studying the question of contradiction, I have also found myself pondering economic questions. I initially tried to bring the two together – contradiction and economics – once I realised that socialism does have a distinct place in China rather than some rampant and unbridled form of capitalism. Still I relied on European categories to try to understand this situation, especially the Marxist who has influenced me in so many ways – Ernst Bloch. I began to argue that the primary contradiction (under Mao’s influence) is in fact socialism and capitalism. I explored a number of ways in which this might work, ending with the suggestion that subsequent modes of production do not cancel out the preceding ones. Instead, they absorb the contradictions of the earlier ones and transform them in the new context. If you can see this with capitalism, you could also argue that this dialectical process also takes place with socialism. So you would expect to see all manner of mechanisms and forms of capitalism appearing under socialism, especially in terms of unleashing the forces of production, but they would be transformed in the new framework. I still think that this particular point about modes of production holds and that it is a very Marxist approach. In many ways, it makes sense of what happened in the Soviet Union and it assists in understanding the process through which China is going – well beyond the Soviet Union. However, I still could not make sense of a ‘socialist market economy’. Why? I assumed that a market economy is the same as capitalism and that if China had some form of market economy it must have some form of capitalism. This assumption is so ingrained among so many people, specialists or not, that it is difficult to challenge. For me, the penny dropped very slowly. I realise now that this assumption is actually a manifestation of what is called ‘economics imperialism’. This means that neoclassical economics – a major tradition for understanding capitalism – managed to forget its history and its social location. It became individualised and universalised, making claims about human nature as such. Human beings, they assume, are rational and self-interested actors, who will always make the best economic decision for themselves. Armed with this universal doctrine, they set about describing everything from psychology to religion as manifestations of economic activity. In short, we are capitalists by our very nature. This ‘economics imperialism’ also meant that you could use universal terms: neoclassical economics became simply ‘economics’, and a capitalist market economy became a ‘market economy’. Thus, wherever and whenever you can espy a market economy, you have capitalism in some form. This is a pervasive assumption that is simply wrong. It certainly took a while for me to realise why. The first real step was actually historical. I had been engaged in research on the ancient world, specifically ancient Southwest Asia (often called the Ancient Near East) and the Greco-Roman world. I was seeking to develop a new economic model for understanding some four and a half thousand years of economic history. On the way, I discovered that markets had spread significantly under the Persians in the first millennium BCE and then under the Greeks and Romans. What sort of markets? Debate rages among those who are interested in such matters. Many simply assumed that they were capitalist markets – a little crude and primitive, but still capitalist. In this club, you find assumptions concerning the primacy of profit, supply and demand, the independence of the market economy, and so on. Others argued against this approach, pointing out that states played a determining role, that prices were not determined by supply and demand, and that such markets were socially embedded. At a crucial point, I realised that this debate is futile, or rather, that it misses the mark. The reason: they were certainly market economies, but they were different beasts from capitalist market economies. Thus, the one fostered by the Persians can be called a logistical market economy, or perhaps a tax market economy. The Persians developed their particular market economy to deal with a logistical problem: how to provision armies. At some point, they hit on the idea of paying soldiers in coin (newly invented) and demanding taxes in coin. But how could the people get hold of the coins to pay taxes? Sell food, clothing and what have you to the soldiers on the move. If someone made a little profit on the side, then that was a secondary benefit. The Greeks and then the Romans developed a different market economy. When ‘classical’ Greece emerged from the centuries-long period of so-called economic ‘collapse’ (if one assumes a ruling class perspective), they had developed a slave economy. Surplus for the ruling class was primarily generated through slaves, which every respectable Greek male citizen owned. But they had to get hold of slaves, which were sources in all manner of ways. For this purpose, slave markets developed, with massive market concentrations in the eastern Mediterranean. 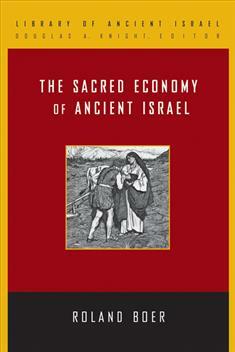 The Romans ‘perfected’ – if I can use such a term – this system so that we can speak of a slave market economy. The whole market economy was geared and shaped for the purpose of finding, transporting and selling slaves. Here were two types of market economy that were clearly not capitalist, because profit was not the main driver and the whole capitalist surplus value certainly did not apply. This awareness led me to realise that most market economies throughout history have been anything but capitalist. Indeed, a capitalist market economy as we know it first began with the Dutch Empire in the sixteenth century. By now the implications should be obvious for a socialist market economy. It too can develop in a way that is not capitalist, even in a global framework that can be seen as largely capitalist. How so? My thoughts on this are at the beginning stage, but I can indicate a number of features beyond my earlier musings. To begin with, the old opposition between public (or state) and private ownership does not apply. This opposition has become a leitmotiv of those who try to determine whether an economy is more or less ‘socialistic’, so much so that a ‘socialist’ turn involves ‘nationalising’ key industries. This model is simply unusable in China, of not misleading. Thus, the percentage of public or private ownership is not a marker of whether a national economy is more or less socialistic. It takes some effort to get beyond this opposition, but let us try. In China, the fabled state-owned enterprises – the backbone of the economy – are undergoing a process of eradicating old inefficiencies by learning from ‘private’ enterprises and even entering into partnerships with those enterprises. At the same time, every enterprise, whether ‘private’ or ‘public’ – or rather the many enterprises with are part ‘private’ and ‘public’, village or local government owned enterprises, ‘new economic organisations’, start-ups and so on – with more than three CPC members must have a party organisation with an elected party secretary. This means that every enterprise with more than 100 employees must have a core CPC unit within it, exercising a managerial role. Even more, every foreign enterprise or multinational must also have a CPC unit at its core. If I add that the CEOs of China’s biggest companies are also members of the CPC, then we are beginning to understand what may be called ‘enmeshment’ – as is showing up significantly with the Belt and Road Initiative. Much more could be said on this topic (and it needs further research), but it is leading to creative efforts to rethink the situation in terms of a ‘commons’ that is far from any notion of a bourgeois civil society, or indeed the very idea of a socialist market economy itself that moves well beyond the bourgeois distinction of public and private ownership. Further, the capitalist ‘law’ of value does not apply to a socialist market economy. The production of surplus value is not the determining feature of this market economy, or – if one wishes to put it in other terms – profit for the sake of profit, based on the autonomous dynamic of a ‘market, is not primary by any means (even with foreign influence since China has to deal with capitalist market economies). We might put it this way: under the law of value, ‘unprofitable’ industries would be shut down in favour of ‘profitable’ ones. But this is not the best way of putting it. Instead, the very idea of profitability is transformed. Instead of short-term analyses of whether a particular venture will return a profit, a longer view prevails in which a project is assessed in terms of its larger and long-term benefit – or ‘social surplus’. Again and again, I have been told by Chinese people involved in all manner of businesses that they must meet a whole series of criteria for business reporting. Of these, profit is only secondary. Of course, they must viable in terms of efficiency, paying employees and having resources for future activity, but the whole aim in not based on returns to shareholders. Instead, they are assessed in terms social benefit, environmental improvement, education, contribution to socialism with Chinese characteristics, among others. The test-case here is the Belt and Road Initiative. This initiative is really an extension of the Chinese focus on infrastructure. As many know, China has been constructing new roads, bridges, schools, universities, accommodation, the world’s best rail network (including but not limited to the massive high-speed network), world-class internet, share economy, and so on. The Belt and Road Initiative is the global manifestation of this drive. It contrasts sharply with the ‘neoliberal’ emphasis on trying the produce money out of money through speculation. Anyone who visits the USA today can see the contrast, where infrastructure is literally crumbling. As one wit put it to me recently: North Korea has recently built a new international airport in Pyongyang, while the USA has not built a new one for a long time. Indeed, a neo-liberal assessment of infrastructure investment argues that it does produce ‘returns’ on investment in perhaps a ten-year period. This kind of analysis completely misses the point of the Belt and Road Initiative, which is long term and focused not merely on China’s benefits, but all those involved. A final note on what will no doubt be a much longer analysis. Much has been made in some quarters of the Chinese billionaires and the relatively high Gini coefficient (although it has been falling for a decade). This is one of the new contradictions – among others – that has arisen in the process of the reform and opening up. Chinese economists tell me that the approach followed is that the reform and opening up by no means complete, so this tension should be resolved with further reform. Three recent signs are telling. The first is the directive to Chinese companies investing abroad to shift their focus to the BRI, which they are now doing. This may be coupled with the fact that it is simply expected in Chinese culture that those who have benefitted will contribute to the wider social good, so we see a massive scale of contributions and systemic investment in education, medicine and so on. The second is the identification of the new contradiction at the nineteenth congress. The initial part of the contradiction speaks of ‘unbalanced and uneven development’. While this includes problems between city and country, and between east and west, part of this situation is relative wealth disparity. Finally, the renewed focus on the poverty alleviation program, which has been ongoing for forty years, is another signal of a concentration of attention on this problem. I have spent quite some time with the socialist market economy. In doing so, I have fallen into the trap of economism. By this I mean that so many Marxists assume that the definition of socialism turns on economic matters. Or to use the base-superstructure model, the base is all that counts. This is simply vulgar Marxism. By contrast, I have learned that socialism is far more than economics. It includes culture, which has a long history indeed in China. Is Marxism simply a political ideology in China that has little bearing on people’s day-to-day lives? Not at all. This reality came home to me when speaking with some students about contradiction (yes, contradiction once again). They told me how they had been taught about contradiction analysis, implicitly in primary school and then explicitly in middle and high schools. But they also said that they lived their lives according to contradiction. This is how they understand the world, how they comprehend and interpret what happens in their lives. This was one manifestation of the away socialism has entered into the fabric of Chinese culture, so much so that the claim that ‘socialism with Chinese characteristics’ has a 2,000-year history gains some meaning. In other words, the CPC and the socialism it fosters is the nurturer and bearer of Chinese culture today. What about society? I could mention the development of a whole new dimension of Chinese society that has benefitted from the poverty alleviation program of the last forty years (700 million lifted out of poverty and counting). Some might call this a ‘middle class’, but this is really a place-holder until we find a better term. I could also mention the new problems that have arisen in terms of city and countryside, with a massive and controlled movement of people to the cities (some 250 million country people work regularly in the cities). But I will focus here on what are called ‘core socialist values’. This shows up particularly in the intersection between traditional Chinese ethics and socialist ethics, or rather, in the transformation of the former in light of the latter. Thus, a communist party member, or indeed anyone in a responsible role in society, has a higher ethical expectation. One must focus on the good of others rather than seek personal gain, be scrupulously honest and direct, living a simple life. This is what ‘communist’ means in China. No wonder that the problem with corruption not five years ago was such a deep problem, until the thorough and ongoing anti-corruption campaign that has restored the standing of the CPC among the people. No wonder that the fall for someone who does meet these expectations is so great. And no wonder that the expectations of the CPC are so high. Ideology is also crucial, but since the term can have negative connotations for some, perhaps I should speak of theory. On this score, the last five years have been particularly important. Compulsory education for all students in schools and universities is undergoing a complete overhaul so that the courses on Marxism and socialism with Chinese characteristics are relevant to the daily lives of students. I must admit that I am intrigued by the fact that even when they are taught badly they still influence the lives of students in ways that even they do not expect (see above on contradiction) But if they are taught well, as in increasingly the case, the impact is even greater. You also find that all party members (dangyuan) must meet monthly to study an essay from Xi Jinping. The purpose is obvious: to raise the theoretical knowledge of party members. They also need to undertake regular refresher courses in the party schools dotted about the country. On this matter my colours come out more clearly (if they are not already clear). I think this is a fantastic development, especially in light of the old communist saying: without theory we are dead. Political matters are also important, but this should be obvious. The CPC is the ruling party of the country. But it now has a radically increased theoretical level, a strict disciplinary emphasis, and a distinct confidence and strength that was not so evident five or more years ago. These many dimensions of socialism, of which I have gradually become aware in China, indicate that one needs to be more comprehensive in assessing socialism itself. Recently, I was asked by China’s leading political economist whether I think the Soviet Union was a socialist society. I pondered the question and mentioned that one needs to assess the many facets I have outlined – economics, culture, society, ideology, politics. If we weigh these factors up, then yes, the Soviet Union was socialist. The implication: China today is socialist, far more than I ever anticipated. Not a few weeks before writing this piece (November 2017), the nineteenth congress of the CPC took place in Beijing. I was in China at the time and followed the congress very closely. Among its many features, ranging from Xi Jinping Thought becoming part of the constitution of the CPC, through identifying a new primary contradiction, to setting a target for becoming a great modern socialist country by 2050, I was struck by the way Marxism was front and centre of Xi Jinping’s presentation. This was simply not a problem for Chinese people. Chinese socialism was identified as entering a new era, so people set about discussing what this means. Perhaps it is best to go back to Deng Xiaoping’s insight. To be sure, the designation of Xi Jinping Thought evokes Mao Zedong Thought – sixiang, thought, only attaches to two of China’s communist leaders. But the genius of Deng lies behind it. He was the one who picked up the threads after Mao’s deviation and the great forgetting during the Cultural Revolution. What is socialism? For Deng it is not some liberal notion of equality – what Engels’s calls gleichheitskommunismus, or egalitarian communism – in which everyone is equally poor. Instead, socialism is about the unleashing of the forces of production so that everyone’s lives improves. Improvement not merely in economic terms, but also culturally, spiritually, socially, ideologically and politically. This is the meaning of socialism with Chinese characteristics (zhongguo tese shehuizhuyi), of Marxism transformed in a Chinese situation (Makesizhuyi zhongguohua), and the desire for a better life (meihua shenghuo). Of course, the problem with writing a piece such as this is that I may be seen as a mouthpiece of the CPC. But then people who work for Confucius Institutes are also called such names. That aside, it is clear that an immense amount of effort and research on these questions continues in China. And it is clear that the CPC is absolutely serious about its project. There is much debate about how a socialist market economy has come about. Proposals include: distinct planning by the CPC; clear distinction from Yugoslav ‘market socialism’; shifting policies in response to new developments; and – intriguingly – happenstance as the by-product of other policies. A useful starting point for the law of value under socialism is Stalin’s ‘Economic Problems of Socialism in the USSR’ from 1952. He has a brief discussion of value, although China’s situation has developed well beyond the Soviet Union and is much more complex. As Michael Roberts puts it: ‘This also lends the lie to the common idea among some Marxist economists that China’s export of capital to invest in projects abroad is the product of the need to absorb ‘surplus capital’ at home, similar to the export of capital by the capitalist economies before 1914 that Lenin presented as key feature of imperialism. China is not investing abroad through its state companies because of ‘excess capital’ or even because the rate of profit in state and capitalist enterprises has been falling’. Absolute freedom of the artist is an illusory freedom. Artistic work is inevitably entangled in the ideological battle. Conscious choice is always better than unconscious commitment. And in our time, there is no possible choice that is more humanistic than alliance with the people struggling for a communist society. What that alliance will be like is another matter. It may be party writing in the sense of the public advocacy of communist ideas; but it may also be an approach to those ideas via categorical criticism of the capitalist system. Developing these ideas of Lenin’s, we could also say that this alliance may appear in creative work that directly attacks the central problems of ideas of our times, but it may also take the form of active participation in the process of democratization of esthetic culture (e.g., in the sphere of architecture and the applied arts) . The alleged absolute independence of the artist is a fictional freedom; true freedom is every development and extension of esthetic values that are valuable from the point of view of the cultural needs of socialist society. Conscious commitment to the battle for socialism, with varying emotional coefficients and varying intellectual orientation, is always at the same time a battle for artistic de-alienation. A book that identifies the fascinating tradition of Christian Communism, from Europe through China to North Korea. Click on the image to find a copy. Click on the picture for your copy. 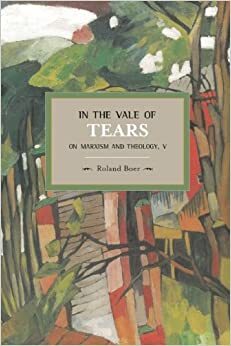 This work marks a final phase of the long 'Marxism and Theology' project and the first steps in my 'Socialism in Power' project. The complete five-volume set, available from Haymarket Books at a very reasonable price (click on the image). 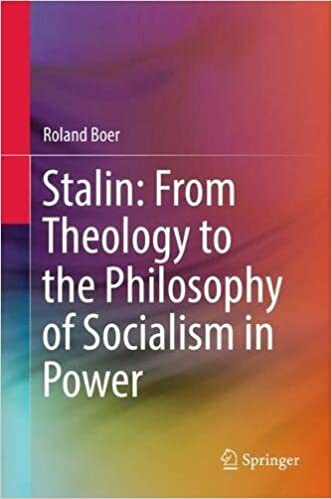 Published by Palgrave Macmillan, the sixth instalment in my study of Marxism and religion. Now published, you can purchase the book by clicking on the image.